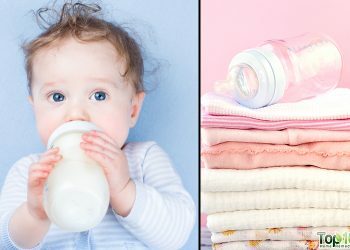 The American Medical Association reports that about 18 million people in the U.S. abuse alcohol and more than 70 million Americans have dealt with alcoholism in their family. Alcoholism can cause both physical and mental health problems. 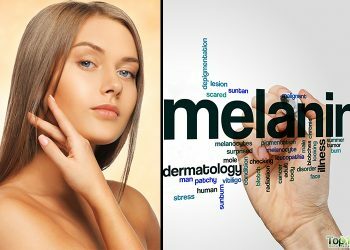 It can be due to genetic, psychological and environmental factors. Signs and symptoms of alcoholism include an inability to limit alcohol consumption, strong urges to drink, tolerance to alcohol (requiring more of it for the same physical effect) and being annoyed when alcohol is not available. Some people also experience physical withdrawal symptoms, such as nausea, sweating and shaking, when they don’t drink. 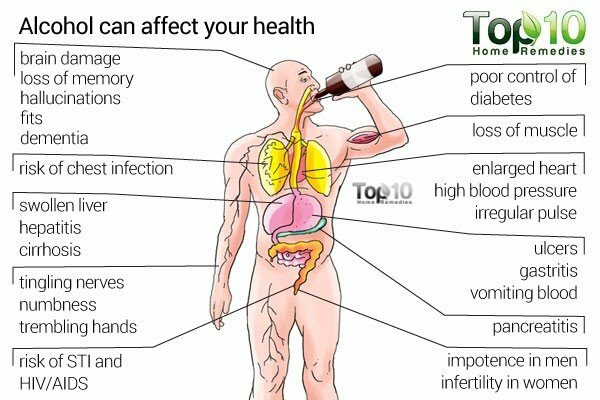 Health problems caused by excessive drinking include liver disease, digestive problems, heart problems, diabetes complications, sexual problems, eye problems, bone loss, neurological complications, weakened immune system and increased risk of cancer. Alcoholism is also associated with accidental injury, assault, property damage, unsuccessful marriage, increase in crime and suicide. Most people cannot overcome an addiction to alcohol without help. Denying the problem is a common issue that delays proper treatment for the alcoholic. This is why family support, encouragement and professional help are all needed. Along with professional help, lifestyle changes, dietary changes and home remedies can help a person combat alcoholism and enjoy a life of sobriety. Here are the top 10 ways to treat alcoholism. Regular physical exercise will help reduce the long-term effects of alcoholism. According to a study published in 2013 in the journal Alcoholism: Clinical & Experimental Research, regular physical exercise helps prevent brain damage and loss of cognitive function from years of heavy drinking. In addition, exercise keeps the body healthy, reduces stress, improves mood, fights depression and reduces cravings. Regular exercise also promotes better sleep at night. Given the physical and mental benefits of exercise, many alcohol rehab programs contain some type of exercise component. When battling alcoholism, include exercises like brisk walking, running, biking, swimming or aerobics in your daily routine. If you cannot exercise on your own, get help from an expert. Some alcoholics have found acupuncture, a form of ancient Chinese medicine, to be a useful method for resisting cravings and preventing relapse. According to a 2002 study published in the Journal of Substance Abuse Treatment, acupuncture on the correct pressure points on the ear can help reduce the desire for alcohol. In addition, acupuncture helps reduce anxiety and depression, two main reasons behind excessive drinking. It also stimulates overall wellness. 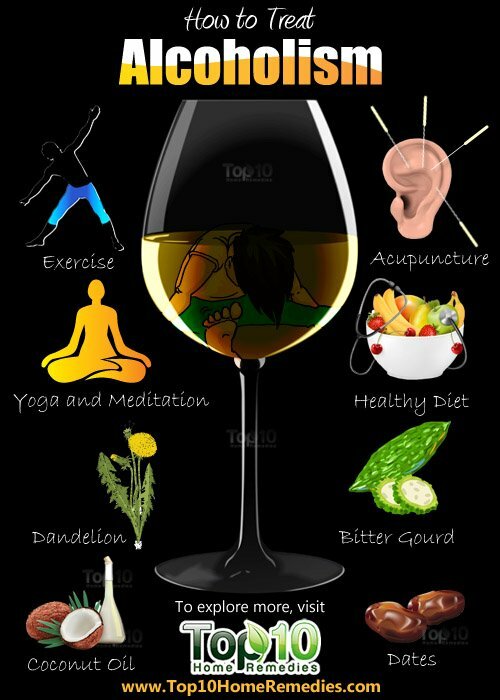 Yoga and meditation can also help fight against alcoholism. Yoga helps people reestablish the connection between their bodies and minds, while improving physical strength. It can also be helpful when dealing with significant stress and emotional struggles. In addition, meditation helps relax your mind and soul. Some of the yoga poses that can help with alcoholism are Savasana (Corpse Pose), Jathara Parivartanasana (Knee-Hug Spinal Twist), Apanasana (Little Boat Hugging Knees), Viparita Karani (Legs-up-the-Wall Pose), Baddha Konasana (Butterfly Pose), Paschimottanasana (Seated Forward Bend), Balasana (Child’s Pose) and Vajrasana (Sitting Mountain). To learn these yoga poses, join a yoga class or learn from an expert. Diet plays an important role in one’s ability to remain sober and reduce effects of heavy drinking. Alcoholism reduces appetite and the body’s ability to absorb nutrients. This is why most alcoholics suffer from nutritional deficiencies. The body needs many vitamins and minerals to overcome the side effects of excessive alcohol consumption. 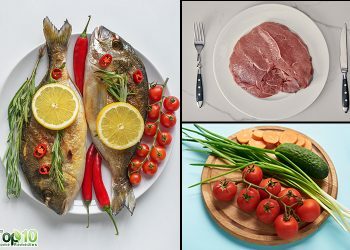 Eat foods high in vitamin B12 to help improve liver functioning and to help stop alcohol cravings. Eat foods high in vitamin C to improve brain functioning and reduce your interest in alcohol. Eat foods high in amino acids to help stabilize your mood, which in turn will help break the addiction cycle. It is best to eat whole-grains, cereals, fresh fruits and vegetables and other fiber-rich complex carbohydrates to help maintain steady blood sugar levels. Low blood sugar levels tend to induce alcohol cravings. Dandelion is widely used for treating alcohol withdrawal symptoms. This herb helps treat the side effects of drinking in excess. In addition, it helps rejuvenate the liver tissues as well as improves the production of bile and stimulates its flow. 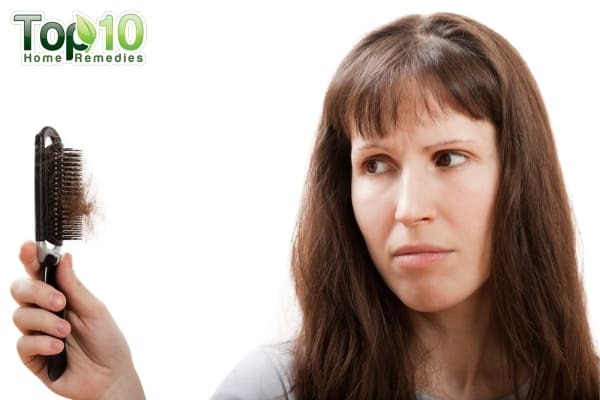 Steep 1 teaspoon of dried dandelion root in a cup of boiling water for 5 to 10 minutes. Strain and drink 2 or 3 cups of this tea daily for a couple of months. You can also take 500 mg of dandelion root capsule 2 or 3 times a day. Before taking supplements, consult a doctor. Coconut oil is another excellent natural remedy to help treat alcohol addiction. Alcohol consumption leads to oxidative stress which contributes to insulin resistance and interferes with brain glucose metabolism. Coconut oil, being rich in antioxidants and saturated fats, helps nourish and heal the brain. Also, it is believed that as coconut helps kill yeast in the body it also helps reduce sugar and alcohol cravings because yeast feed on sugar. Plus, this superfood is good for lowering cholesterol, providing energy, and maintaining a healthy weight. Eat a few tablespoons of extra-virgin coconut oil daily. You can also add it to your hot drinks or smoothies and use it for cooking. 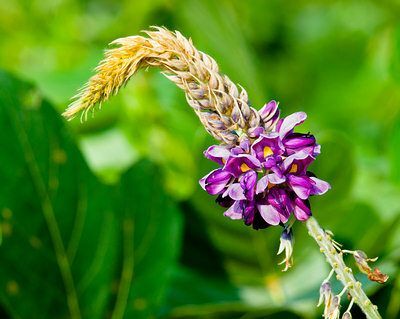 The isoflavone compounds in a Chinese herb called kudzu can be of great help in reducing alcohol-related hangovers and cravings. In a 2013 study published in the journal Psychopharmacology, researchers found that a standardized kudzu extract can help people cut down on drinking. Take an extract containing at least 30 to 40% kudzu at least twice daily. Continue this treatment for a couple of months. Note: Consult your doctor before taking this herb as it can interfere with many medications. Bitter gourd, also called bitter melon, is a natural antidote that aids in eliminating toxins from the body. Moreover, it helps heal liver damage due to alcohol consumption. Extract the juice from a few bitter gourd leaves. Mix 3 teaspoons of this juice in a glass of buttermilk. Drink it once daily on an empty stomach. Follow this remedy for a couple of months. Also, include bitter gourd in your diet. 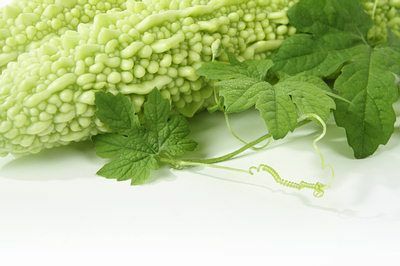 Being a natural antidote, celery also helps in the treatment of alcoholism. It helps clear toxins from the body and improves overall health. It also helps minimize the desire for sugar because it has no alcohol. 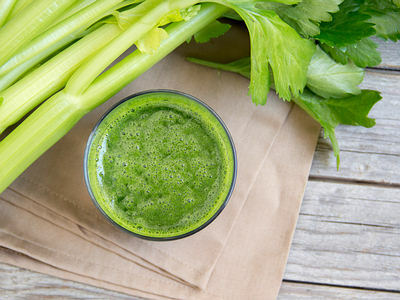 Mix ½ glass of celery juice with ½ glass of water. Drink it twice daily for a few months. Dates help with detoxifying and clearing out toxins from the liver due to long-term alcohol consumption. 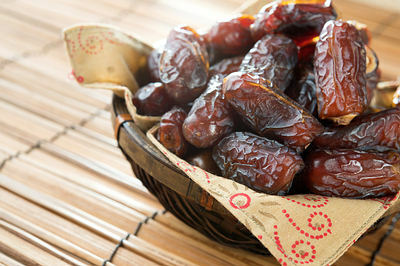 Moreover, dates help reduce cravings and replace lost nutrients. Soak 4 or 5 dates in 1 cup of water for 1 hour. Drink this brew twice daily. Repeat this remedy for 1 to 2 months. Make it clear to your friends and family that you want to quit drinking. Avoid socializing with friends and family who drink a lot. Get 6 to 8 hours of sound sleep daily. Drink plenty of water to prevent dehydration and help your body recover. Spend time doing things that help distract your mind from drinking. Spend more time with your family, especially children, to keep yourself motivated. Listen to music. It can relieve stress and calm you. Enjoy massage as it helps in the removal of toxins and waste products from the body. Get a pet or find some other passion that greatly interests you. Avoid smoking as it increases cravings for alcohol.